Since 1904, Big Brothers Big Sisters has operated under the belief that inherent in every child is incredible potential. 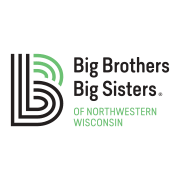 As the nation’s largest donor- and volunteer-supported mentoring network, Big Brothers Big Sisters makes meaningful, monitored matches between adult volunteers ("Bigs") and children ("Littles"), ages 5 through young adulthood in communities across the country. We develop positive relationships that have a direct and lasting effect on the lives of young people. We provide children facing adversity with strong and enduring, professionally supported one-to-one relationships that change their lives for the better, forever. Site-Based Mentoring : The child and the volunteer meet at a set date and time each week at the child's school or at the Boys & Girls Club (late afternoon or early evening) and participate in activities at that site (i.e. making crafts, playing a board game, playing catch, etc.). Community-Based Mentoring : The child and the volunteer arrange their meetings based upon when it fits into their schedules and participate in activities in the community (i.e. going out to dinner, playing in the park, going for a walk, flying a kite, etc. ).